We know your charter options are as varied as your imagination allows. 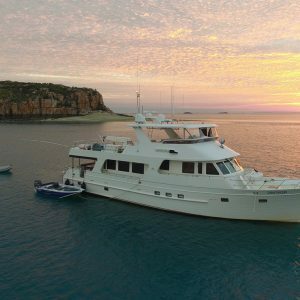 You may require a modern fast game boat to chase an elusive “grander” giant black marlin out from the Continental Shelf, or a luxurious mothership to cruise through the azure waters of the Great Barrier Reef. We can even cater to the calm water lure & fly fisherman wanting a custom sportfishing charter to target our prime river and estuary species.